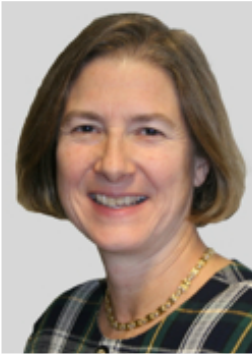 Alison Calver completed her undergraduate medical training at Cambridge University and University College and The Middlesex Medical School, London. She was a Tripos Scholar of Cambridge University and gained Honours in her final Medical Examinations. She qualified in 1986 and undertook General Professional Training in London. She obtained MRCP in 1989 before deciding to specialise in Cardiology. She has a background in research and spent 2 years as a British Heart Foundation Fellow, completing her MD thesis on “The role of Nitric Oxide in the control of vascular endothelium” in the Department of Clinical Pharmacology at St George’s Hospital London, under the supervision of Professors Joe Collier and Patrick Vallance. She was awarded her MD thesis in 1993. Her postgraduate training in Cardiology took place at St George’s Hospital London, The London Chest Hospital and Southampton University Hospital. She was appointed Consultant in Interventional Cardiology in 2000. Her clinical interests are in General Cardiology including pacing and Interventional Cardiology. Dr Calver has a significant commitment to Medical Education. She is the lead Consultant for Medical Education and the Programme Director for Cardiology training in Wessex, producing the cardiologists of the future. She was a member of the Council of the British Cardiovascular Intervention Society (2004-2008), a member of the Royal College of Physicians Standing Committee for New Consultants (2004-2008) and a member of the Education Committee of the British Cardiovascular Society 2008-2010). She helped to write the submission to NICE that ensured that Drug Eluting Stents continue to be available to patients in the UK and was a member of the British Cardiac Society Working Party that reported on Women in Cardiology: recruitment and retention. She is now a member of the British Cardiovascular Society Council and the Royal College of Physicians Specialist Advisory Committee in Cardiology. She is one of a small number of female interventional cardiologists in the UK. She met her husband in the bicycle queue at Cambridge University and they have 2 children. She enjoys riding her bike with her family, swimming and is a keen skier. Her colleagues view these sporting activities with some trepidation as over the last 5 years they have resulted in a broken arm and a ruptured knee ligament! However she remains an enthusiastic participant although both her children now ski better than she does. With a 12 and 11 year old life is never dull. She lives near Winchester and the family grow their own vegetables, a bit like the Good Life although there are no plans for a goat!